Your holiday savings will automatically apply at checkout based on order total, after coupons (yes, you can ALSO use a coupon! :). 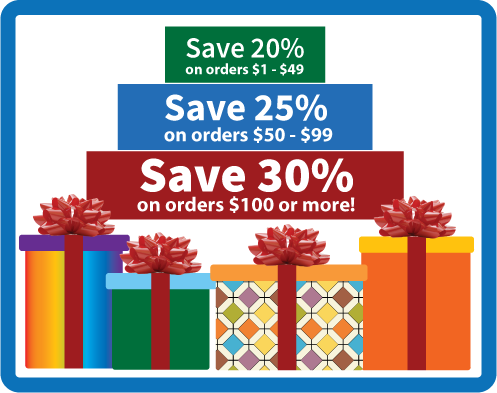 30% Off orders $100 or more! Courses must be purchased together (separate orders cannot be combined to receive a greater discount). Offer valid on future orders only. Hurry, sale ends Tuesday, December 26, 2017. Shop now! 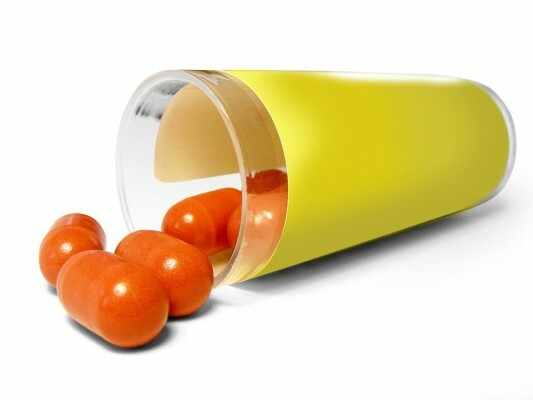 Prescription Drug Abuse is a new 3-hour online continuing education (CE) course that examines the misuse of prescription drugs (including opioids) in the United States. 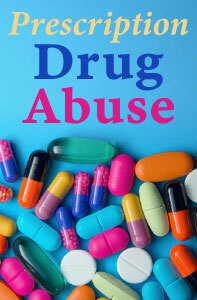 Misuse of prescription drugs means “taking a medication in a manner or dose other than prescribed; taking someone else’s prescription, even if for a legitimate medical complaint such as pain; or taking a medication to feel euphoria” and is a serious public health problem in the United States. When taken as prescribed, medication can be of great benefit to a patient, helping reduce pain, save lives, and improve one’s overall quality of life. However, when individuals misuse their prescribed medications or take medications not prescribed to them, the consequences can be disastrous. Illicit drug use, including the misuse of prescription medications, affects the health and well-being of millions of Americans. Among other deleterious effects, cardiovascular disease, stroke, cancer, infection with the human immunodeficiency virus (HIV), hepatitis, and lung disease can all be affected by drug use. The important thing to remember is that the medications are not inherently bad in and of themselves – it is how people use (and abuse) them that creates a problem. This online course provides instant access to the course materials (PDF download) and CE test. After enrolling, click on My Account and scroll down to My Active Courses. 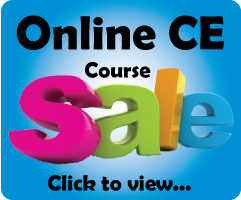 From here you’ll see links to download/print the course materials and take the CE test (you can print the test to mark your answers on it while reading the course document). Successful completion of the online CE test (80% required to pass, 3 chances to take) and course evaluation are required to earn a certificate of completion. This subset of skills is best defined as skills that are only significant when they fail to exist. 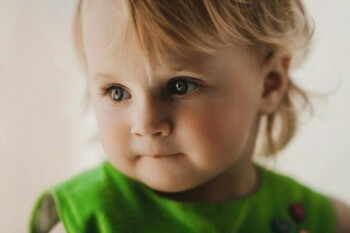 “The ability to follow another person’s gazing gesture (head turn paired with eye gaze shift) or pointing gesture is an important milestone in early communicative development as it serves as a governing factor in both social interactions and referential communication between a young child and an adult” (John & Mervis, 2010). Many children who have learning disabilities also show soft neurological symptoms. 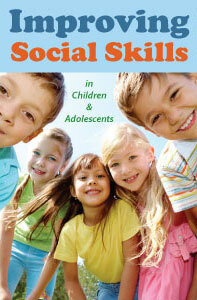 They generally involve coordination and motor skills. Pediatricians will assess soft signs in simple activities, such as “touch your nose with your finger” or “walk on your heels” (Lavoie, 2005, p.13). These neurological symptoms manifest themselves in the child’s zero order skills. For example, a common soft sign is a child’s inability to track with his eyes without moving his head. When you are having a conversation with others at the dinner table, you make eye contact with each person as he or she speaks. You establish eye contact by moving your head slightly and moving your eyes to meet the gaze of your conversation partner. Children with this soft sign may, instead, keep their eyes fixed and move their head in order to establish and maintain eye contact. As you can imagine, this behavior will be viewed as odd. Although the behavior is normal for an infant, it is uncommon for a school-age child. A significant zero order skill that may be missing in children with social skills deficits is the “standing face.” Most people have a standing face that is relaxed and opened. Those with standing face have a slack open mouth look about them; serious or aloof. This type of face alludes to boredom or superiority. It is not attractive to others and is off-putting. Basic hygiene is also a zero order skill, only noticeable if it is not there. Effort needs to be made to teach children basic hygiene because of its impact on social relationships. Professional Development Resources is approved to sponsor continuing education by the American Psychological Association (APA); the National Board of Certified Counselors (NBCC ACEP #5590); the Association of Social Work Boards (ASWB Provider #1046, ACE Program); the American Speech-Language Hearing Association (ASHA); the American Occupational Therapy Association (AOTA Provider #3159); the Commission on Dietetic Registration (CDR Provider #PR001); the Alabama State Board of Occupational Therapy; the Florida Boards of Social Work, Mental Health Counseling and Marriage and Family Therapy (#BAP346), Psychology & School Psychology (#50-1635), Dietetics & Nutrition (#50-1635), and Occupational Therapy Practice (#34); the Ohio Counselor, Social Worker & MFT Board (#RCST100501); the South Carolina Board of Professional Counselors & MFTs (#193); and the Texas Board of Examiners of Marriage & Family Therapists (#114) and State Board of Social Worker Examiners (#5678). Now recognized as the most pressing health concern, weight gain in the United States impacts every part of our health – from increased rates of disease to greater incidence of mental health problems such as depression and addiction. 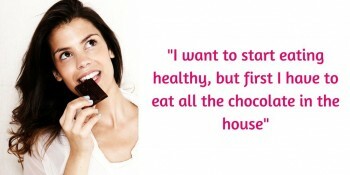 In accordance, the weight loss industry has grown monumentally, branching into all areas of our lives. We now have weight pills, diets, low calorie foods, small quantity packaging, stimulant drinks and metabolic diet programs – just to name a few. Yet the problem of not getting ourselves to do things, as behavioral economists know, is what underlies how we make decisions. Not just about weight loss, but about many things we should be doing – from saving money, to spending more time with our family, to contributing to charity. 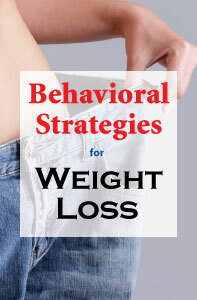 And understanding how we think about weight loss is at the core of how we actually go about making the daily decision to leave the donuts in the box. Use strategies that increase attention to the benefit of an activity throughout the duration of the activity. Running always looks better to us before we do it than when we are actually doing it. In order to be successful then, we are going to need to find ways to remind ourselves of the benefit of running while we are running. For example, we can use text reminders about the specific health benefits designed to be delivered during our run. We can also do this with statistics, reminding ourselves of other desirable outcomes – such as increased intelligence, emotional regulation, creativity, or optimism – linked to running. Or we can use in-run reminders delivered to us by our supporters. Like being cheered for along the course of a marathon, having a close friend or family member send us some virtual cheering might just make us want to run a few more miles. Reduce exposure to tempting options. It’s in our very nature to exaggerate the temptation costs of avoiding alluring options. If for no other reason than this, we should make every effort to avoid exposure to them. Having someone else order off the menu for us while we avoid looking at it, avoiding the grocery store and instead using a preset online shopping order can go a long way toward making sure the tasty muffins don’t end up in our shopping cart, or on our plate. Ensure that the long term goals are as certain as possible. As we know, the more uncertain our long term goals are, the more likely we will be to discount the risk in giving in to our impulses. And this effect is exaggerated when we depend highly on that long term goal. For this reason, whatever long term goals we choose, we should be certain we can get there. Incorporate mastery. We know that in order to continue doing something, we have to have an interest in it. And interest is highly linked to mastery. To incorporate mastery then, we should focus on learning goals, such as being able to shoot a free throw shot in proper form, learning the correct biomechanics of running, or learning how to ride a horse. Avoid performance goals. Performance goals, as we know, are linked to higher performance, but not continued involvement. If we want to change behavior, and cultivate continued involvement, we should make every effort to avoid performance goals. Minimize hot states. We know that when in hot states we are prone to errors in judgement and impulsive decisions. Minimizing hot states, and, at the very least, separating them from the self-control decisions we need to make, might not just help us steer clear of some nasty fights with our spouse, but also ensure that our waistlines don’t pay the price for them. Develop strategies to combat procrastination. Because chronic procrastination weakens executive function and lowers mood, we should make every effort to minimize it. We can do this through preset commitments. Giving $1000 to our neighbor to keep unless we follow through on our required tasks (thereby avoiding procrastination), quite likely will spur our motivation – and keep that $1000 in our pocket. On the other hand, we can also limit our exposure to more pleasurable (and deceptively distracting) options. Disconnecting, moving, or giving away the television, not surprisingly, might just help us get our work done – instead of watching the latest sitcoms. Find ways to replenish self-control. Self-control is a limited resource, and the more we use it without replenishing it, the less of it we have. In order to replenish self-control we have to allow ourselves areas of our lives we can have free choice. For example, if we have spent all day restricting our impulse to go on Facebook, yet we’d like to be able to convince ourselves to go to the gym after work, by first giving ourselves one half hour to do whatever – such as calling a friend, going on a walk, or taking a nap – we’d like, we are much more likely to make it to the gym. Minimize contact with self-control drains. Self-control is influenced by several factors, but one of the most insidious ways self-control can be derailed is through hanging out with the wrong people. When we see those around us giving in to impulses, suddenly we find a host of reasons why we should also. Not only do we not want to miss out on what we see someone else getting (it’s never fun to watch someone enjoy a delicious brownie right in front of us), but those justifications become that much easier (it’s always much easier to find reasons to do something someone else is already doing). So one of the best things we can do for our self-control is to protect it from the things (and people) that drain it. When we notice who around us doesn’t exhibit the level of self-control we desire and minimize our contact with them, suddenly the power to control impulses becomes that much easier. Technology can be a valuable asset in clinical supervision. It can also, however, detract from both treatment and supervision if the technology itself becomes the focus due to novelty – or worse to poorly functioning technology. As technology use becomes more common and the technical aspects are resolved, it may become a standard part of supervision. The American Psychological Association recommends, “Supervisors should use live observation or audio or video review techniques whenever possible, as these are associated with enhanced supervisee and client/patient outcomes.” Memory and cognitive processing, as well as the supervisee’s biases and self-protective distortions, affect the supervisee’s self-report, making live or recorded supervision more objective and thus more effective than the supervisee’s recall of treatment (APA, 2014). Self-report is easy; there is no equipment to manage, no explanations to give the patient, and no concerns about HIPAA issues. But it is not the most effective means of supervision. The practice setting may not have two-way mirrors or other ways to provide synchronous supervision during a therapy session. However, improved technology can provide new methods for supervision that benefit both therapists and supervisors. For example, remote access is available through teleconferencing technology. Therapists who previously had to travel to visit a supervisor can link electronically for virtual supervision. Therapy sessions can be livecast, with the supervisor providing input to the therapist via an earpiece or text. Videotaping also allows for review of a therapy session after the fact, when the therapist and supervisor have had time to mentally review the session. Telesupervision works for many disciplines. Chipcase (2014) found it effective when used in conjunction with face-to-face clinical supervision for occupational therapists, physical therapists, and speech-language pathologists. Most therapists reported satisfaction with telesupervision as long as it was not the sole means of supervision. As expected, there are barriers to this type of supervision. Low bandwidth and erratic connectivity can make sessions difficult. Ambient noise can be an issue; multiple cameras and microphones can often compensate for audio problems. Chipcase noted that “cyclical problem solving” by supervisors and supervisees improved the learning experience. Research has found that live video consultation increases positive client outcomes when a therapist is learning a new evidence-based treatment strategy. While phone consultation is helpful, live video consultation had a small but significant advantage over telephone-only consultation (Funderburk, 2014). Rousmaniere (2016) reports the efficacy of remote live supervision using internet videoconferencing. The supervisee could be in another part of the same building as the supervisor, or in another city. Equipment needed includes a computer, webcam, and external microphone (wired or wireless). It is important that sound quality be maximized so all conversation is clearly understood. Rousmaniere noted that this equipment would cost less than $250 total from an electronic retail store. Most national professional organizations now approve the use of technology for supervision: telephone or video conferencing and recording, Skyping, text messaging, and other forms of technology to make the process more convenient and efficient. The American Association of Marriage and Family Therapists approves the use of technology for supervision and mentoring as long as it is secure and meets AAMFT ethical standards in their Code of Ethics. The organization says that it added technology provisions for the following reasons: “requested by members, fits contemporary standards, assists with access for distance difficulties, and enhances philosophical fit between MFT trainees and supervisors” (AAMFT, 2014). The American Psychological Association recommends that psychotherapists be aware of and follow any relevant laws and regulations in regard to practice and technology as well as supervision and technology (APA, 2014). It is important for any technology system to meet HIPAA standards. The rewards are worth the investment of time and money. A study of pediatric mental health services found HIPAA-compliant video teleconferencing allowed direct patient care in a familiar setting for children and families in rural areas. The number of children served increased as early identification spotted children in need of services through remote screenings (Schroepfer, 2014). Research carefully any technology used for client information or communication. HIPAA compliance rules may change over time, and not all companies providing technology services keep up with healthcare regulations. Videoconferencing has the highest risk. Ask for guarantees of safety for protected health information under HIPAA. If the vendor is not fluent in the latest HIPAA requirements, find another vendor (Gurung, 2015). Telesupervision does not work for every client. Chipcase (2014) reported that therapists working with children found that many children liked the idea of being “on television.” But some patients do not understand or like technology involved in treatment sessions. Some patients will not be able to give informed consent. 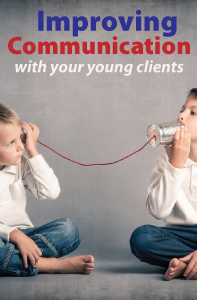 It is important to communicate clearly the reason telesupervision is being used. For example, “My supervisor is an expert in helping people with your diagnosis. Her feedback could be very helpful for us both.” Written consent forms should be used. The patient should have the right to decline further telesupervision activity at any time (Rousmaniere, 2016). Likewise, not all supervisees are appropriate for remote live telesupervision. During telesupervision, the supervisee must split attention between the patient and the feedback given (via earpiece or on a screen) by the supervisor. A supervisee who is very anxious or has attention issues may have problems focusing on the session. Rousmaniere discusses the supervisee who becomes confused or lost, and then follows the supervisor’s suggestions without processing the implications for future practice. Not all supervisors are effective in telesupervision, either. Telesupervision is recommended for experienced supervisors who are comfortable using technology and can manage the divided attention required for effective supervision and client treatment. National Humor Month was founded in 1976 by comedian and best-selling author Larry Wilde, Director of The Carmel Institute of Humor. It is designed to heighten public awareness on how the joy and therapeutic value of laughter can improve health, boost morale, increase communication skills and enrich the quality of one’s life. 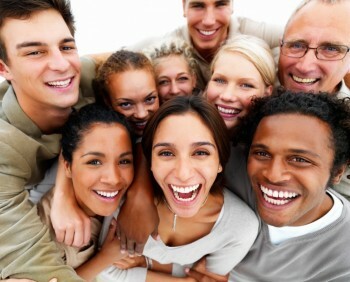 Humor as a tool to lift ailing spirits is an established notion supported by scientific research. The curative power of laughter and its ability to relieve debilitating stress and burnout may indeed be one of the great medical discoveries of our times. The Use of Humor in Therapy is a 2-hour online continuing education (CE) course by Dr. Louis R. Franzini that reviews the risks and benefits of using humor in therapy and the relevant historical controversies of this proposal. Should therapists and counselors use humor as a therapeutic technique? If so, should they be formally trained in those procedures before their implementation? The paucity of rigorous empirical research on the effectiveness of this form of clinical intervention is exceeded only by the absence of any training for those practitioners interested in applying humor techniques. 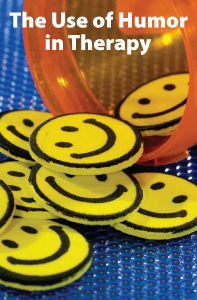 In this course a representative sample of its many advocates’ recommendations to incorporate humor in the practice of psychological therapies is reviewed. Professional Development Resources is approved by the American Psychological Association (APA) to sponsor continuing education for psychologists; the National Board of Certified Counselors (NBCC ACEP #5590); the Association of Social Work Boards (ASWB Provider #1046, ACE Program); the American Occupational Therapy Association (AOTA Provider #3159); the Commission on Dietetic Registration (CDR Provider #PR001); the Florida Boards of Social Work, Mental Health Counseling and Marriage and Family Therapy (#BAP346), Psychology & School Psychology (#50-1635), Dietetics & Nutrition (#50-1635), and Occupational Therapy Practice (#34); the Ohio Counselor, Social Worker & MFT Board (#RCST100501); the South Carolina Board of Professional Counselors & MFTs (#193); and the Texas Board of Examiners of Marriage & Family Therapists (#114) and State Board of Social Worker Examiners (#5678). Florida-licensed Mental Health Counselors, Clinical Social Workers and Marriage & Family Therapists (MFTs) have an upcoming license renewal deadline of March 31, 2015. Professional Development Resources is approved by the American Psychological Association (APA); the National Board of Certified Counselors (NBCC ACEP #5590); the Association of Social Work Boards (ASWB #1046, ACE Program); and the Florida Board of Clinical Social Work, Marriage & Family Therapy, and Mental Health Counseling (#BAP346) to offer continuing education courses to counselors, social workers and MFTs and is CE Broker compliant (all courses are reported within 1 week of completion). Florida-licensed counselors, social workers and MFTs can earn all 30 hours required for renewal through online courses available @ www.pdresources.org.